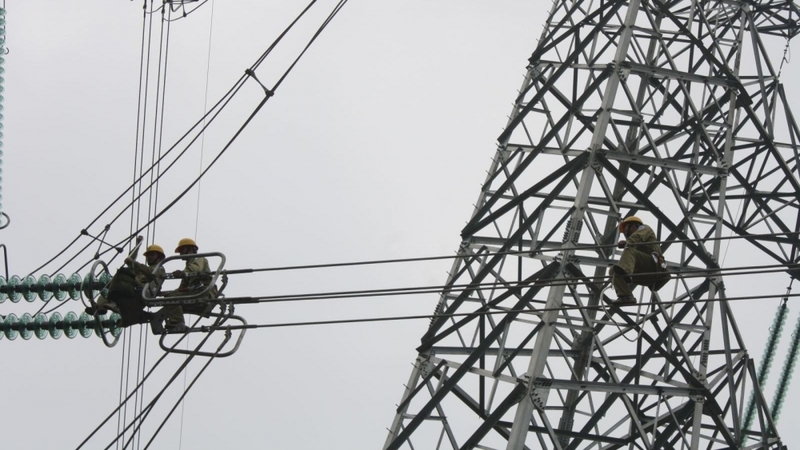 The 500kV power transmission network, which runs through 42 provinces and cities throughout Vietnam, has been classed as a critical project to national security by the Prime Minister. The decision was announced by the Ministry of Public Security, Ministry of Industry and Trade and the national power utility company, EVN, on May 29. Stretching along the length of the country, the 500kV transmission system plays a crucial role in transmitting electricity from the major power centers of Son La, Lai Chau, Quang Ninh, Mong Duong, Vung Ang, Vinh Tan, Phu My and Duyen Hai. It is the backbone that connects Vietnam’s regional electricity networks and provides power for national socio-economic development. The north-south 500kV high-voltage transmission system was officially put into operation in 1994, following two years of construction.